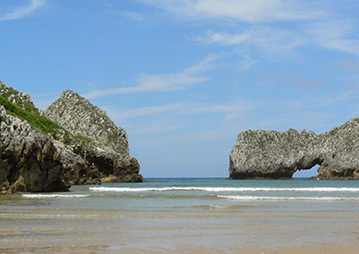 From secluded little coves to big sandy stretches, the Cantabrian coast offers a wide range of beaches from which to choose. Surfers have long known of the Atlantic rollers hitting land here. Superb seafood lunches can be enjoyed in, for example, the fishing port of San Vicente de la Barquera or the small town of Comillas, with its very unusual architecture, including a Gaudi building. 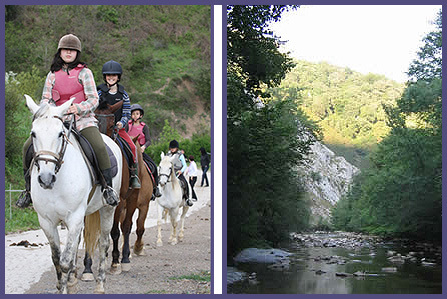 Back in Liébana and the Picos mountains there are horse riding stables, Aravalle in Viñon, which offer routes of varying duration, for beginners or experts, around the hills dotted with vineyards and beech woods. The cool waters of the mountain streams and rivers hold trout and salmon for some of the most southern European fly fishing. Lakes and rivers provide refreshing dips with stunning views. 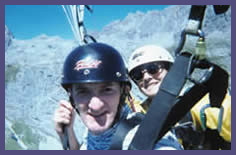 Or enjoy even better views with a parapont flight! 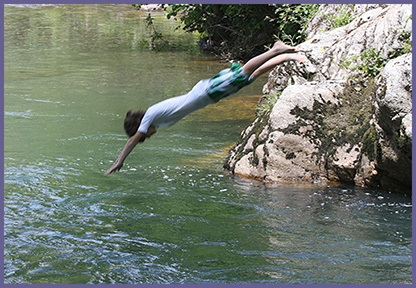 Activities organised by local companies include kayaking/ canoeing, gorge running and caving. 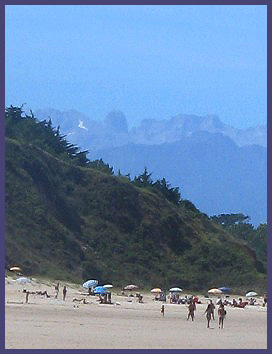 Click here to read about our own family mountains and beach holidays.